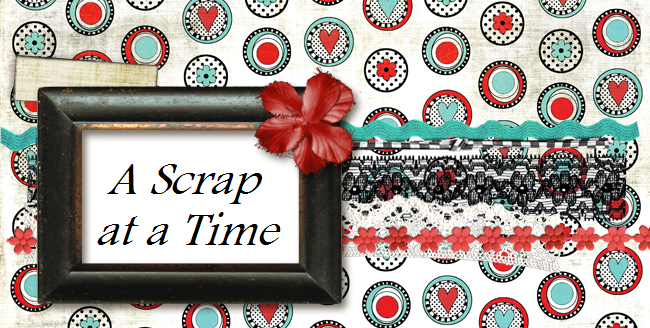 A Scrap at a Time: Finally scrapped it!! I have had such a hard time with trying to figure out how to scrap Autumn's pictures from the day she was baptized. The new Dreamgirls challenge was the perfect inspiration. We had to use a line from the song Time After Time. The line "If you're lost you can look and you will find me" immediately popped out to me and seemed to be the perfect sentiment for this special day. This is so sweet, thanks for playing along with us!! Beautiful page, and I agree, those lyrics are so perfect for a religious page! Thanks for playing along with us! This is adorable, thanks for playing along with us! Christmas isn't over around here!